We have been making tons of great breads in my class this quarter, and as I have said before I have issues with wasting anything. I give away a lot of bread, our freezer is a bakery, and I am getting fairly creative beyond bread crumbs on re purposing the bread I bring home. 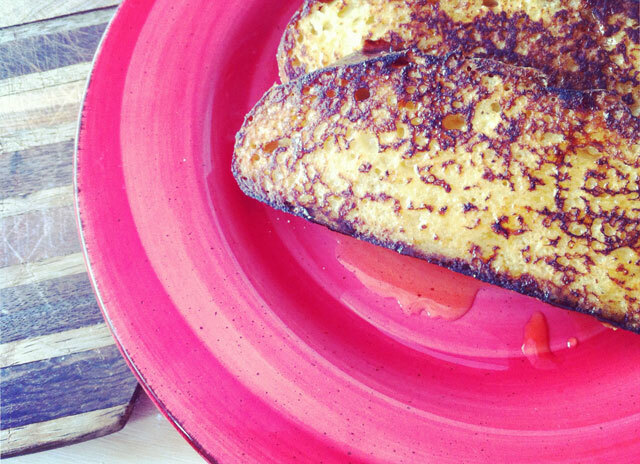 So when I made this Portuguese sweet bread it screamed French toast. It has citrus zest in it, so it smells light, fresh, and sweet. Perfect for a cream based, pan then oven morning treat, with bacon, of course! 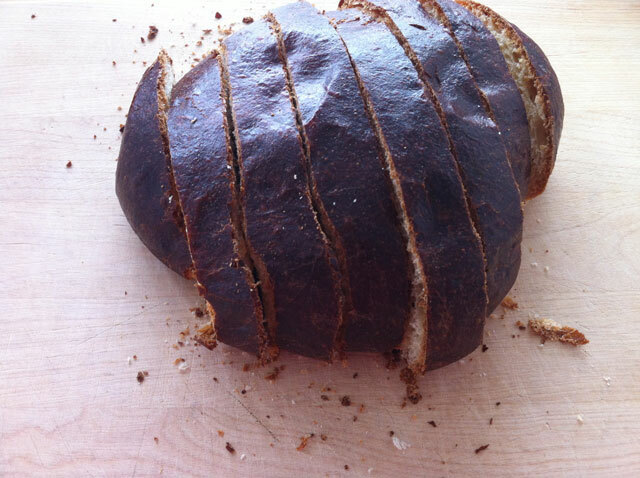 I have used brioche, challah, or a thick sweet toast for this recipe in the past, and they all work. So use what you have, what you love, or both, it is that simple! This could be a great brunch for family and friends, or a weeknight breakfast for dinner! I like breakfast for dinner from time to time. Serves: This is enough cream mixture for 6 thick cut slices of bread. 1. Preheat your oven to 250 degrees. Whisk the eggs, salt, cream, milk, and vanilla in a bowl large enough to dip the bread into, set aside. Set up your dipping station. 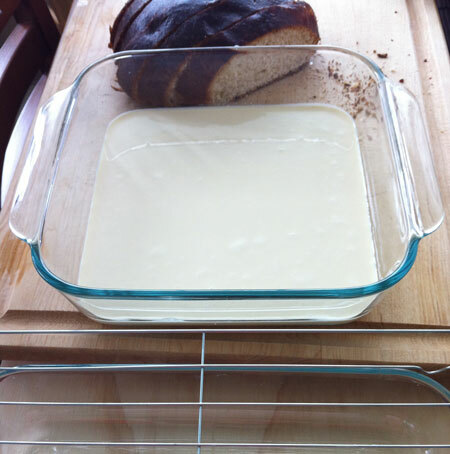 First– cream mixture, Second– cooling rack over plate to drain excess cream, Third– baking vessel, pyrex 9 x 13 works. 2. Dip each slice of bread into the cream mixture and let it soak for up to one minute turning once to get both sides, then remove and place on the cooling rack over a plate to allow excess cream to drip off. Get all pieces soaked, drained, and ready to cook. 3. Heat one tsp of butter in a large skillet over medium heat, once the pan is hot, place the toast in the pan, I fit 2 at a time. Cook for 3 minutes on each side, or until golden brown. Once you turn the toast the first time, sprinkle a little cinnamon on it. Remove and place in the baking pan, and place in the oven. Repeat with all of the slices until you are finished. Add more butter between each batch. While you cook all of the slices, your first batch is staying toasty in the oven. Allow the last batch to rest in the oven with the other slices for 5 minutes while you heat up some tasty maple syrup. 4. Serve with warm maple syrup, seasonal fruit, bacon, and a smile, because it is good! Note: You can make the cream mixture the night before if you are having guests over for brunch/breakfast. In the morning just lower the temperature of the oven to it’s lowest setting instead of 250 so the toast does not dry out. You can make this up to 30 minutes before they arrive, or while you prepare any other dishes you may be serving.